These flowers are beautiful all on their own, sweeping lines in lavendar and light yellow pastels. Complementary colors add energy to an image – red and green, blue and orange, yellow and purple. Those combinations add a vibrance to an image. 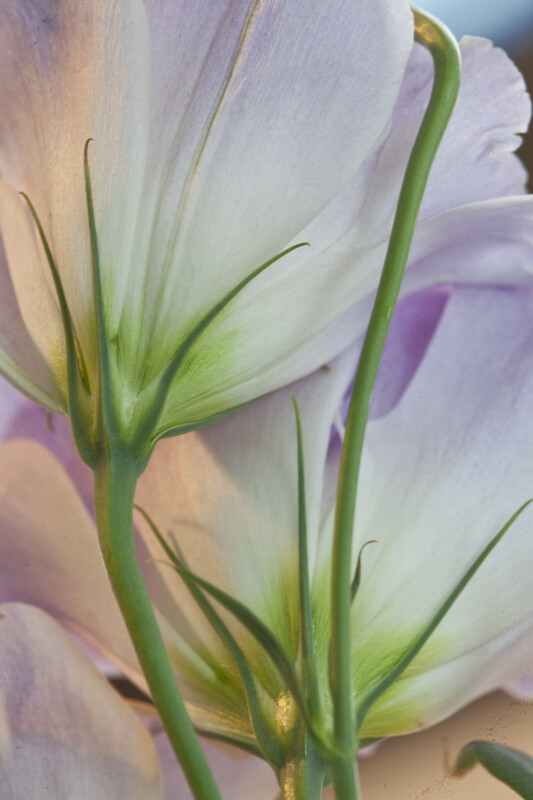 The peach tone achieved from the morning sun adds some extra punch to these flowers. I moved the flowers to where the sun accented them nicely and warmed the image. Morning sun flows into my living room each morning (that it’s sunny!) and can be directed quite easily. Afternoon sun is even warmer!